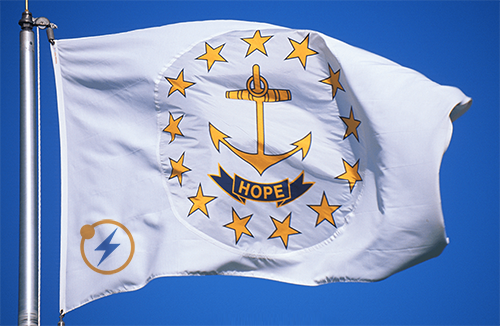 Comments on Rhode Island's "Power Sector Transformation Initiative"
Advanced Energy Economy Institute (AEE Institute) and Northeast Clean Energy Council (NECEC) shared comments they recently filed in support of Rhode Island’s Power Sector Transformation Initiative (PST). As requested by Governor Gina M. Raimondo on March 2, this comprehensive regulatory proceeding to modernize Rhode Island’s electric system is being conducted jointly by the Rhode Island Public Utilities Commission, the Office of Energy Resources, and the Division of Public Utilities and Carriers. AEE Institute and NECEC are partner organizations. The utility should operate the grid as both a physical platform and a market platform, integrating and coordinating assets and services owned and provided by third parties and customers. The regulated utility should be limited to owning assets and providing services that are truly monopoly functions. Utilities should be increasingly compensated based on their performance, or the outcomes they achieve, rather than the inputs or investments they make to achieve them. To align utility incentives and maximize the use of existing utility infrastructure, utilities should be allowed to earn the same return on procured services as on capital investments.